Exceptionally well kept condo, end unit, very quiet. Partially finished basement, hardwood floors on first floor. Built-in display shelving upstairs and down, lots of extra lighting in kitchen and stairwells, bricked in patio, half bath down, full bath up. Two nice bedrooms, large closets in both. Laundry in the basement, new roof within last year, reserved parking. Well-managed complex. Community has pool and club room. Very convenient to schools, universities, expressway. All appliances remain including washer and dryer. 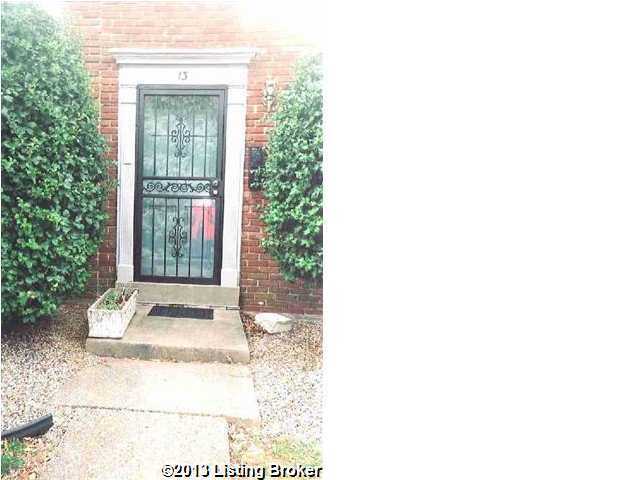 Additional features are electric fireplace in basement, storm windows, enclosed brick patio. ask me about special financing. Owner has purchased service contract on furnace good for one year. Holly House is a subdivision within the city of Louisville, Kentucky. There are currently 0 Homes for Sale within Holly House, with asking prices ranging from $0 to $0. The average list price per square foot of the available inventory in Holly House is $0, which is the Louisville average of $147. The Average Sales price of all sold real estate in this subdivision for the past year is $40,167. Recent comparable homes have been selling for 94.72% of their asking price. Waterfront homes represent of the available Holly House inventory. The population of Louisville, according to the 2010 Census, is 597,337. The total number of households in the zip code of Holly House is 13,533, with an average household size for of 2.30 people. The total number of renter households within the zip code of 40218 is 6,472, which means that 52.18% of households in this zipcode are owner occupant households. 1924 Goldsmith Ln #13, Louisville KY 40218 is a Condo, with 2 bedrooms which is recently sold, it has 1,126 sqft, 0 sized lot, and No Garage,Off-Street Parking parking. A comparable Other, has bedrooms and 0 baths, it was built in and is located at and for sale by its owner at $ 0. This home is located in the city of , in zip code , this County Other, it is in the Subdivision, and RANGELAND are nearby neighborhoods.